American Cuisine, intimate lounge, spacious lobby, indoor pool and warm inviting atmosphare. Bistro 135 is located on the first floor near the front desk area of the Radisson Hotel High Point. 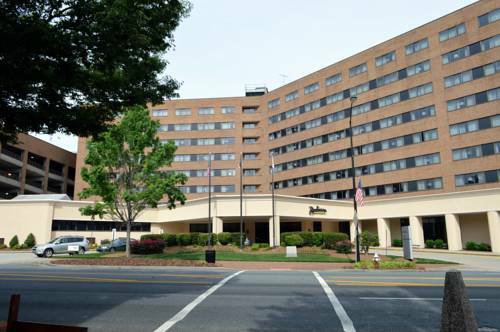 The Radisson Hotel High Point offers over 12,500 square feet of flexible meeting space that is composed of 6 meeting rooms featuring our Grand Ballroom of 5,100 square feet which divides into four sections and is able to accommodate up to 600 guests. A bright yellow seashell that once serviced North Carolina's gas guzzlers. ~14 miles from High Point. ~16 miles from High Point. The original Siamese Twins, P.T. Barnum sensations, are buried here. ~49 miles from High Point. The world's foremost private museum of armored fighting vehicles, in a formerly vacant tool factory. ~59 miles from High Point.